Freeway Fleet Systems has appointed Genie Insights Ltd as its exclusive sales and implementation partner for the Island of Ireland. The company, which provides asset management and compliance software designed specifically for the transport industry, has expanded globally and has a strong customer base within the UK and a rapidly growing presence in Ireland. Genie Insights, which is run by Matt and Laura Reeve, offers business support and outsourced marketing for the logistics supply chain. Typical customers include those whose primary function is moving goods (road transport / logistics providers) and those involved in supplying equipment and services to transport companies. 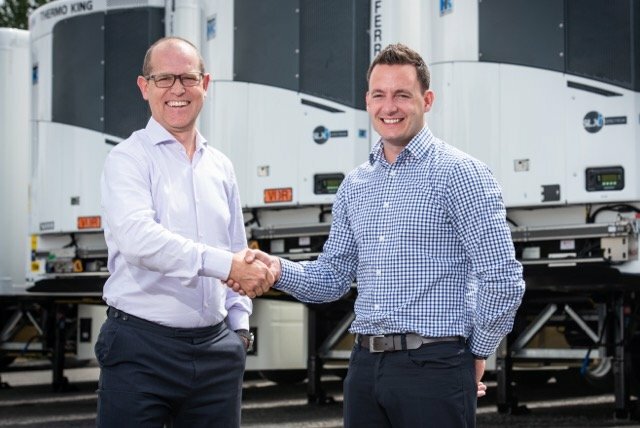 Matt Reeve of Genie Insights and Patrick Tandy, Managing Director at Freeway Fleet Systems, met a year ago when Matt was working on a long-term project with Agro Merchants Lurgan Transport Ltd (previously Sawyers Transport). Matt has 15 years’ experience within the Transport & Logistics industry, including time spent with a leading truck manufacturer in the UK, as well as having fleet and workshop management experience for a transport company in Northern Ireland with a fleet of 650 trailers. For Freeway, this experience combined with Matt’s in-depth understanding of the Freeway system made him an obvious choice to head up this partnership for the Irish market. Genie Insights’ implementation now provides the link between Freeway’s development and Freeway customers. This valuable step in the set-up process includes helping to identify how the system will best suit each individual operation, right through set up and ‘go live’. This includes an initial departmental audit to assess user modules required, customisation and system set up, as well as mentoring and training staff in the use of the system. Genie Insights also provides technical troubleshooting in conjunction with the Freeway development team and is on-site for the system launch to ensure a seamless and stress-free integration.